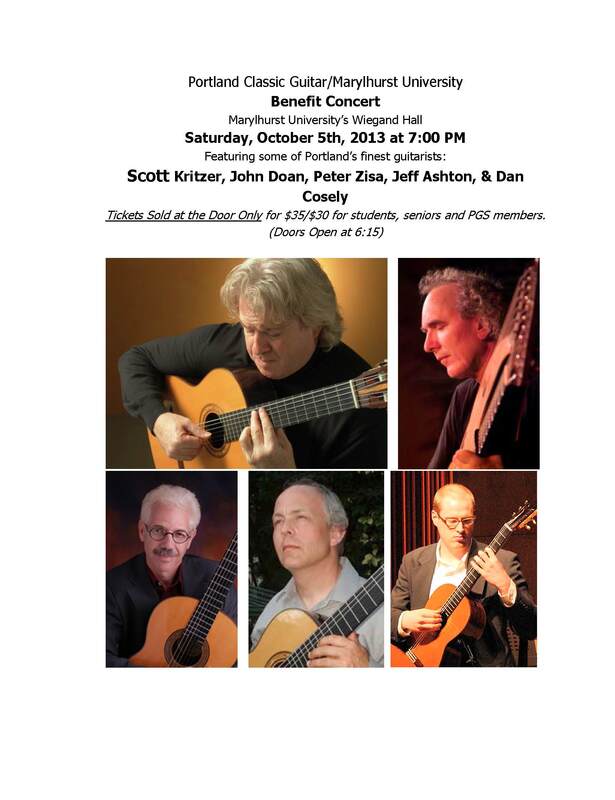 The PCG series has earned a reputation for presenting the very best in classical guitar music, and this concert will be no exception. According to the New York Times, Scott Kritzer is “intelligent and self-assured”; his “sure technique” and “musical sensitivity” reveal him as “a thinking and caring musician.” For decades, Kritzer has garnered similar accolades from audiences and critics alike, in concert halls from New York to Munich to San Francisco to Frankfurt to Vancouver to Los Angeles to Sapporo to Washington, D.C. (where he once performed at the Kennedy Center for the Performing Arts). He has shared the stage with such brilliant artists as Itzhak Perlman, the Emerson String Quartet, and the Kronos Quartet. A graduate of the San Francisco Conservatory of Music, Mr. Kritzer has studied in master classes with Eliot Fisk, Pepe Romero, Grammy Award winner David Russell, and many others. John Doan is an international authority on harp guitar—an unusual instrument that includes extra, unstopped strings. He is a performer and composer who has worked with such luminaries as Donovan, Burl Ives, Larry Carlton, and Chet Atkins; he is also a historian, instrument collector, and associate professor of music at Willamette University. Doan’s music has a strong classical influence, while also drawing on folk (particularly Celtic) traditions. He may be best known for two television specials produced by OPB 1990s: A Christmas to Remember With John Doan and his Emmy nominated A Victorian Christmas With John Doan, which has been a favorite with audiences for over 20 years. This concert, he will be performing selections from his newest recording Homage to Fernando Sor on a guitar built with 5500 year old wood and he will demonstrating a new prototype harp guitar. The other performers to be featured in this benefit are equally impressive. Consider Jeffrey Ashton, who has enjoyed a forty-year career as a performer, arranger, composer, recording artist, and teacher. Ashton’s adventurous repertoire is known for ranging freely through disparate musical periods—from the Medieval, Renaissance, and Baroque, to works by Sor, Tarrega, Villa-Lobos, and Satie. 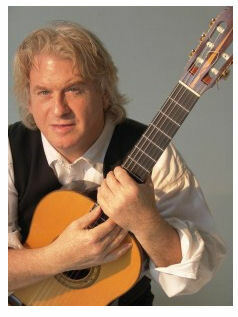 Peter Zisa, in turn, is a masterful award winning classical guitarist “who delicately blends melodic line and texture into an exciting musical experience”(Louis Sahagun, L.A. Times); his playing “transcends mere technique to a higher level of musical artistry” (University Santa Barbara). Peter is grateful for the mentorship of David Grimes, and additional musical guidance he received from Maestro Andrés Segovia, José Rey de la Torre, and José Tomas. He has performed at universities and various concert series across the U.S. and abroad. And finally, Dan Cosley, according to renowned French guitarist Roland Dyens, “is a real, gifted musician with genuine skills as a composer. He belongs to a restricted community of guitarists who place music even above the guitar and that’s the main reason why I believe in him.” Cosley has a rapidly expanding discography, releasing ten CDs over the last decade. He has created noted compositions and arrangements, and has performed throughout the United States, and also in Rome and Japan. He is currently director of Guitar Studies at Marylhurst. Tickets for this event will be sold at the door only for $35 General Admission and $30 for students, seniors and Portland Guitar Society members. More info call 503-654-0082. This entry was posted in Concerts and Events and tagged classical guitar, classical guitar concert, classical guitar lessons, scott kritzer. Bookmark the permalink. Enjoyed your music last night, particularly the second piece. What was the name of that piece? Music at times seems to capture emotions that are at our core. Polyphonic music is a challenge and its always inspirational for students of the guitar to hear it done beautifully. Thanks again for sharing your music as well as background info regarding the pieces. Thanks for your comments and for attending. The second piece of my program was the “Allemande” from Sylvius Leopold Weiss’ Sonata No 34, arranged by Michael Lorimer. Polyphonic music can be a challenge on the classical guitar but oh so rewarding! yes, there’s a growing sense of excitement when the voices emerge from the mass of notes. Not consistent though. It’s a journey….there was a time when doing a mass of notes would not have even been possible(as you well know) and all that stuff on a sheet of music was just gobbly gook. I know my Bach’s prelude and V-L’s choro need ongoing work but I connect to music I love on a different level when I play it as opposed to when I just listen to it done beautifully by the masters. Look forward to more of your playing and the local masters!